Our beads are handmade and well, sometimes there are shards of glass left when the mandrels are etched out. I know many people think the holes are “drilled” but that would be so time consuming, hazardous to the health and we would break a ton of beads along the way. 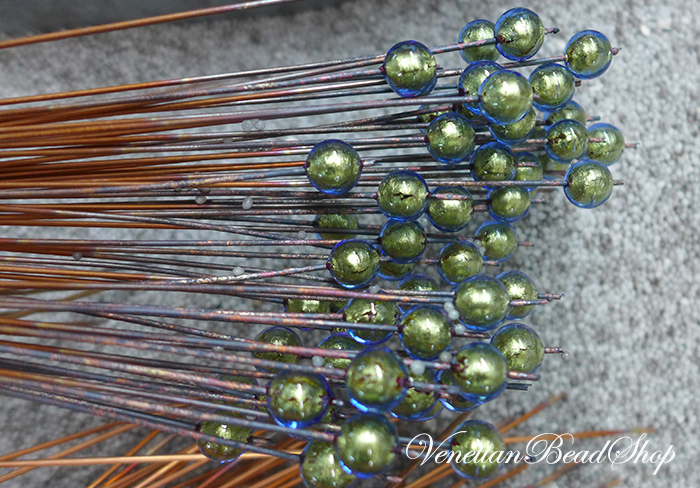 Rather, most of our beads are wound with molten glass over a copper mandrel. The short story here is that in the 20s one of the Murano bead making companies discovered, though exactly how is unknown, that copper would be consumed when exposed to nitric acid. Before that time, the beads were made on mandrels dipped in “fango” mud from the lagoon. So alas, the US did not discover bead release. This new process relieved workers from dipping countless rods in the fango (and obviously displaced some workers). 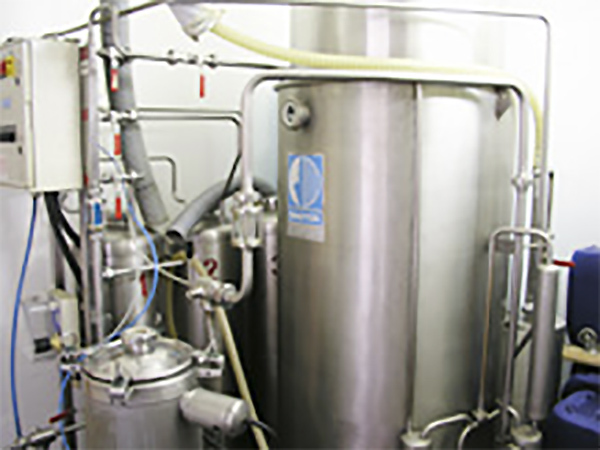 Over time the new process required more sophisticated machines, and the environmental problems came to light. Now, the copper is recovered and the nitric acid must be recycled in environmentally friendly process. Some of the beads are more prone to this than others. Any bead with avventurina or Calcedonia, and our Nuvola beads tend to have more shards. The Nuvola have small polverized opaque white in them representing the “clouds”. Opaque glass, Avventurina and Calcedonia are more dense and melt at a different temperature than our transparent glass, so they tend to escape the bead. This etching process leaves small shards of glass as the copper is etched out. There are a couple of ways you can work this as you make jewelry. 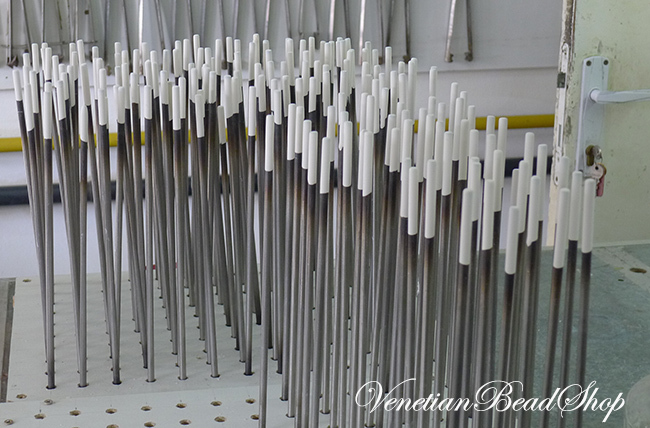 Our PerlaVita Beads and sometimes those which have silver foil, we use the traditional coatings on stainless steel rods. It just takes longer and while you might not think about it, the consistency of the bead release makes the rod slightly larger or even a little lopsided. So we have to be more careful. They hide uneven surfaces and protect the wire or thread you are using as they provide a buffer between the glass and the thread. Classic Venetian Jewelry always had little beadcaps between the knots. They knew this was a good way to prevent the rough edges from cutting the thread (at least not right away). Even pearls will eventually cut the thread – as we all learn! 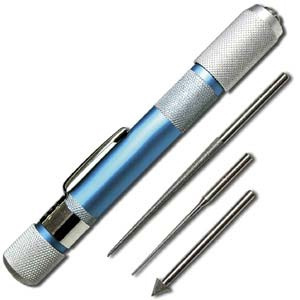 We use the simple bead reamer on most all our beads when we are making jewelry. It takes just a minute and assures us that we have an even surface with which to work. 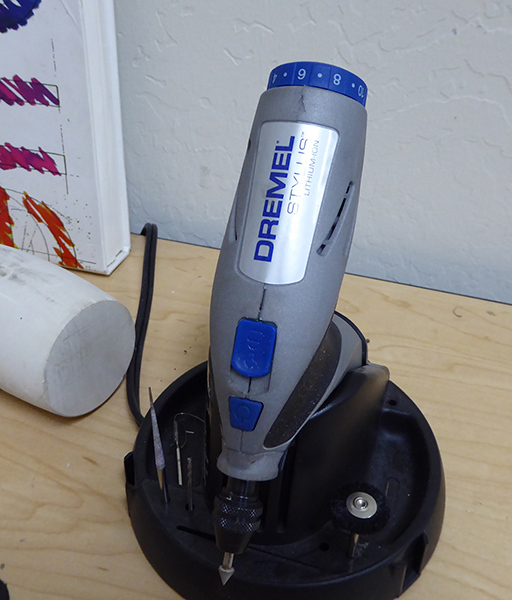 Always wear glasses when you are using the bead reamer (both the manual one and the electric one). As little particles are thrown in the air. Don’t be afraid to work with the beads. It is good to dip them in water often as you are using the bead reamer (which is really a file) as this prevents heat build up and prevents loosing the lustre of the bead. You can even use this if you want to make the hole a little (very little) larger. Less expensive, just as useful. You can find these at most hardware stores. Buy the diamond variety as it will last longer. They all do the same job, make the holes nice and smooth. 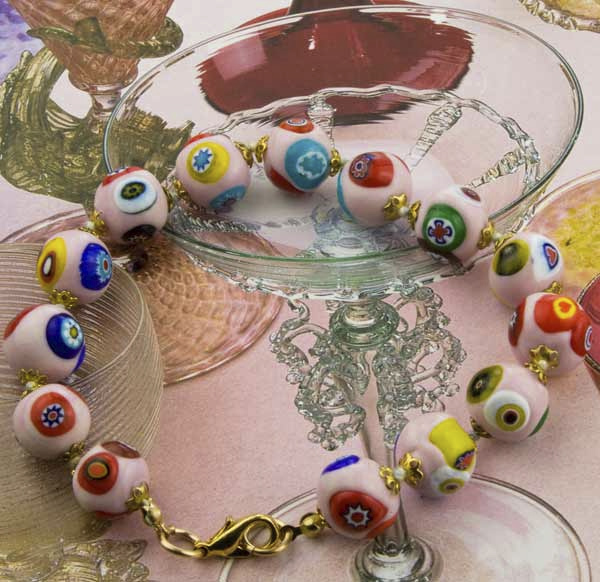 And make your beadcaps sit nicely for a well made piece of Venetian Glass Jewelry. Best of Luck!